All Africa report: Scores of civilians and Boko Haram insurgents were reportedly killed yesterday during different attacks in Borno and Yobe states. Witnesses said the first attack was an ambush on firewood mongers in villages around Mafa, the first local government area outskirts of Maiduguri along Dikwa- Gamboru-Ngala-Cameroon Republic road. The second attack was reportedly launched at villages around Kanamma in northern fringes of Yobe State, the first place where Boko Haram, then known as Nigerian Taliban, settled around 2002. 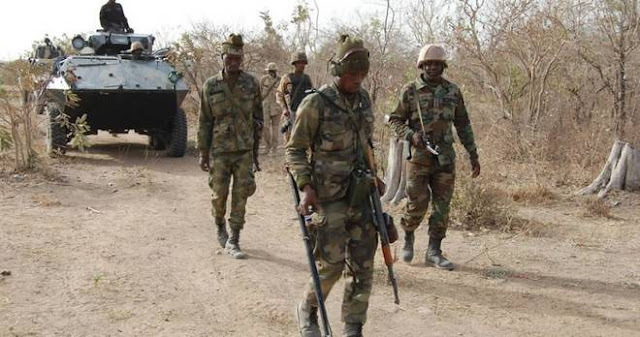 The third siege was along Maiduguri- Damboa road in southern part of Borno. Different sources said dozens of people were allegedly killed but this could not be independently verified. In the attack in Mafa, sources said no fewer than 50 people were killed. A vigilante Umara Modu said many Internally Displaced Persons (IDPs) from Muna camp in the outskirts of Maiduguri, as well as others from the surrounding villages, including Maiwa near Mafa LGA, were killed around 2.30 pm Saturday. “Different Boko Haram gangs ambushed different locations. More than 50 people, mostly those chopping firewood which they normally sell to support their families, were killed,” he said. “They carted away many trucks belonging to the firewood mongers and set ablaze the rickety ones,” he added. Usman Jidda, a driver who lives near Muna garage in Maiduguri corroborated. “It was a targeted attack by the terrorists... Based on the information I got, they killed more than 40 people in the bushes,” he said. It was also gathered that the insurgents attacked Kanamma villages around 5:45pm yesterday, but many of them met their waterloo as they were killed by an Air Force fighter jet which mobilized to the site after a distress call. “The BH fighters did not succeed in Kanamma, they were repelled,” said Musa Mohammed, a resident of Geidam, which is not far from Kanamma. “The terrorists actually attacked Kam village near Kanamma where they sometime ago forcefully recruited many youths. I think they went back to either recruit others but were not successful. “It is pleasing that Air Force mobilized immediately. Many of the terrorists were killed by the fighter jet while fleeing in the desert,” he said. A resident in the town, Musaah Baakura, revealed that prior to the Kanamma attack villagers called and warned their relatives of the possibility. “They said that the insurgents had assembled in a bush, with weapons, trying to hit a target. Many people fled for their lives, some traveled out, some to neighbouring villages while others remained indoors,” he said. In yet another attack, the insurgents reportedly laid ambush on vehicles conveying people and foodstuff along Maiduguri- Damboa road.